If you are a Korean Drama fan you must be knowing that romance is the essence of it. Who would not like to watch the cute girls, hot boys, uptight chaebol heir leads, the heartbreaks, and the love birds? The Romantic genre has been always very popular among the youth. 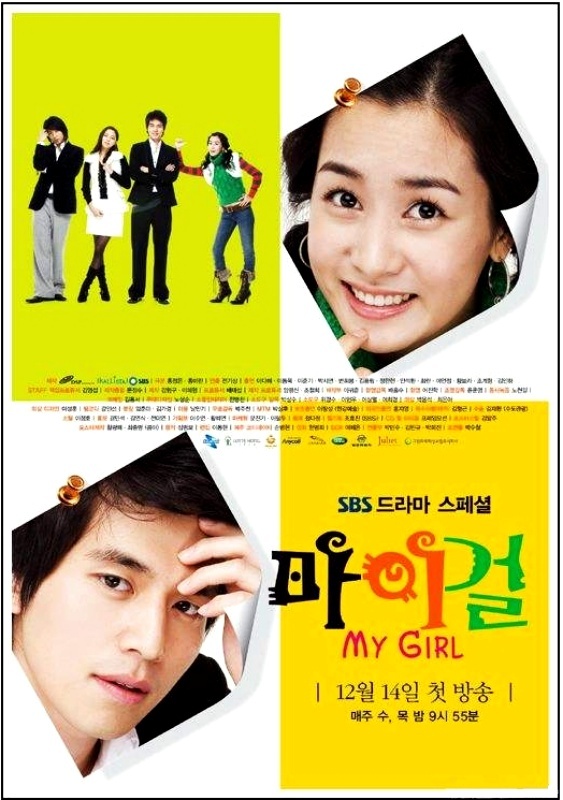 Korean dramas can be best for you if you love watching romance and also with a tinge of comedy. We’ve collected some of the most loved Romance Korean Dramas from the past couple of years. How many of these have you watched? So, here is a list of top 50 Romance Korean Dramas to melt your melt. The drama is set in an art university. It depicts the story of students chasing after their dreams, love, and friendship. Kyu-Won is a girl who is highly skilled in playing gayageum. She is in the Korean musical department. In her family, there are three world-class pansori singers. 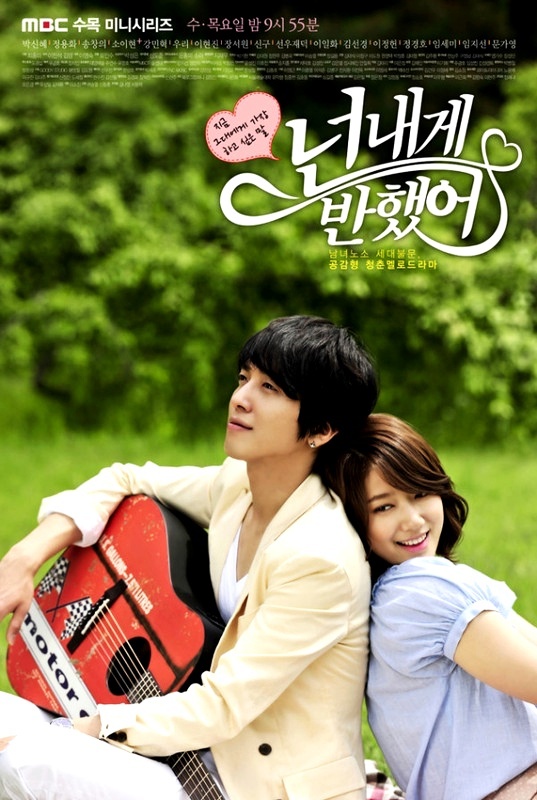 Another character of the story Lee Shin is a cold and straight forward person who is an excellent guitar player. Both of them comes from different family backgrounds but later on starts liking each other. You are surely going to enjoy it if you are a die-hard fan of romance Korean dramas. Sun Woo In Young is an unmarried 33-year-old woman. She works as a concierge manager at a hotel. Sun Woo has a boyfriend, named Kim Sung-Soo who is a movie director. They are dating each other from the past 10 years. As 30-year-old Sun Woo tries to mend her relationship with her ex, things turn kind of topsy turvy when the hotel’s heir comes into the picture. This romance Korean drama is about a free-spirited high school student, Chae-gyeong. One day she gets a piece of very unexpected news that she has to marry the Crown Prince Lee Shin who attends the same high school. She unwillingly marries him due to her debt-ridden family. Her new life is filled with various challenges and adapting into the manners and royal duties of the palace life. Moreover, she also struggles with her relationship with her haughty, cold-hearted husband. In the meantime, Yul steps into her life on whom she can rely on this whole new alien environment. The drama depicts the life of lively and beautiful, Yoo Rin with a talent of lying. She gets mixed up with a rich guy who hires her to impersonate his long lost cousin in order to fulfill his grandfather’s dying wish. As time passes, both started to have feelings for one another. However, they are forbidden to take things any father due to the act of passing as cousins. The story is about a famous South Korean actor Seo Jun-eun who wants to write an autobiography of himself and his long lost love Eun-Dong. The last time he saw her was 10 years back. Eun-Dong is currently working as a ghostwriter and has lost all her past memories due to a tragic accident. Coincidentally, the writer who is going to write the autobiography of Seo Jun-eun turns out to be Eun-Dong herself, who has no memories of her relationship with Jun-eun. The drama narrates the story of a spoiled young man, Cha De-woong who wants to become an action actor. When his grandfather, Cha Poong comes to know that he has spent his next semester’s tuition fee for buying an expensive motorcycle, he calls the police and reports the motorcycle to be stolen. Cha De-woong unknowingly ends us releasing a legendary nine-tailed fox “Gumiho”. The Gumiho asks for his help and teaches her to act like a human. As time passes, their relationship becomes deeper and they start to fall for each other. The drama is centered around four rich quirky boys known as F4 and a poor girl, named Jan Di. She gets admitted to a prestigious high school by chance, where only the rich kids can afford to go. There she encounters these four boys and experiences love and friendship. The series narrates the story of Lee Yeon-jae, an unmarried woman in her mid-thirties. She is considered to be meek and timid by society. Moreover, she is also falsely accused of stealing from her client. Lee is diagnosed with gallbladder cancer and has around six months to live. She decides to quit her job and embrace the time she has left with. She flies first-class to Japan. 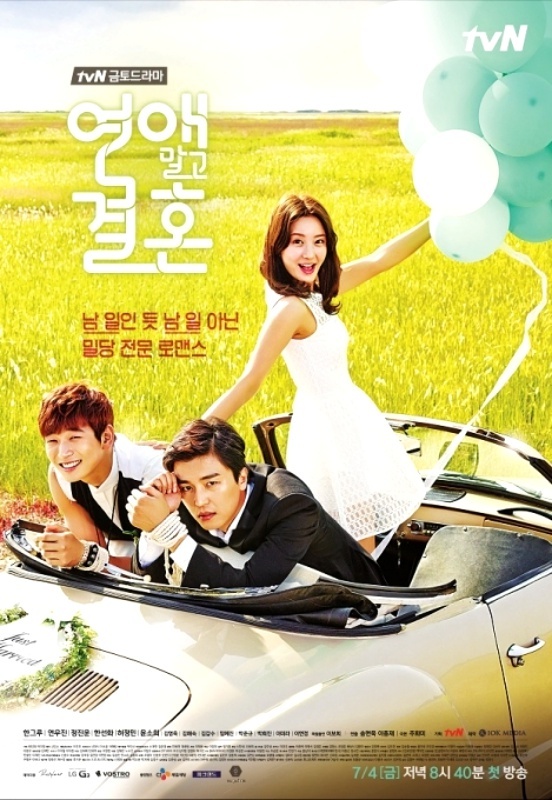 There she runs into a rich, cynical man, named Ji-wook who later falls in love with her. This is a must-see for you if you are a fan of Romance Korean Dramas. You are surely not going to regret watching it. Gong Gi-tae is a rich plastic surgeon who has no interest in getting married. He is constantly forced by his family to get married. But, Gong believes that it is better to remain single. In order to make his parents off his back, he plans to bring Jang-mi to his home, knowing that she is never going to be acceptable by his family. The series narrates the story of an arrogant, smart and good looking CEO, Kim Joo Won, who seeks after perfection. On the other hand, Gil Ra Im is a poor stuntwoman, who is envied by many actresses because of her beauty and gorgeous body. When Joo Won meets Ra Im he is stunned by her coolness and is unable to get her out of his mind. He decides to pursue her and is initially ignored by Ra Im, but later she also starts reciprocating his feelings. Things start getting more complex when Ra Im and Joo Won somehow started switching bodies. The story revolves around Ko Dongman and Choi Aera who faces various harsh situations in their life but still decides not to give up. Ko Dong-Man took part in taekwondo in his school days and works as a contract employee for his living. Another character of the story, Choi Ae-Ra wants to become an announcer but gives up on her dream and works at a department store. 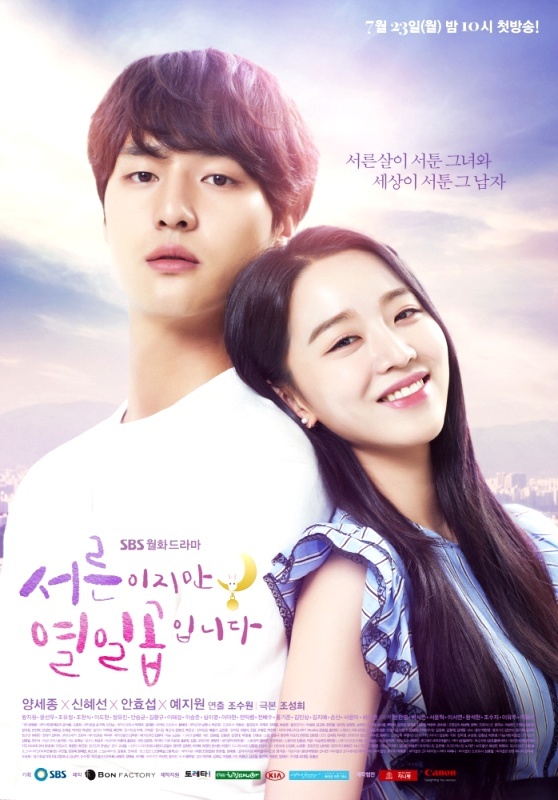 If you are a fan of Romance Korean Dramas then this show is a must watch for you. The drama carries all the emotions of love, romance, friendship and relationships of friends and family in a very beautiful manner. Apart from that it also gives an incredible message of pursuing your dreams and never giving up even when things don’t seem to go your way. One of the awesome things about this drama is that it’s about regular people like us who are struggling for their dreams, come across bad relationships and are learning out of life which makes it more relatable and enjoyable to watch. After getting bullied because of her looks, Kng Mi-rae decides to get plastic surgery. She is teased as the Gangnam plastic surgery monster. 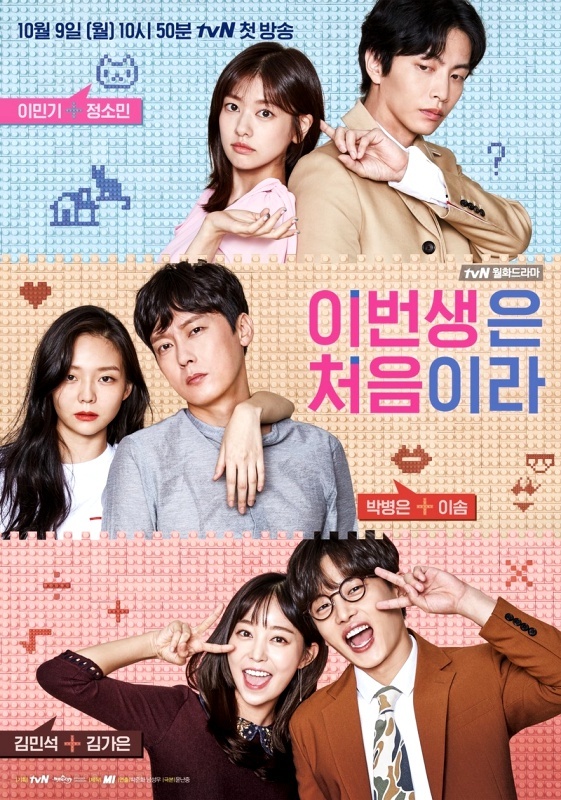 The story revolves around the struggles of Kng Mi-rae trying to recover her self-esteem when she meets and get to know more about Do Kyung-seok. This is one of my most favorite romance Korean dramas. 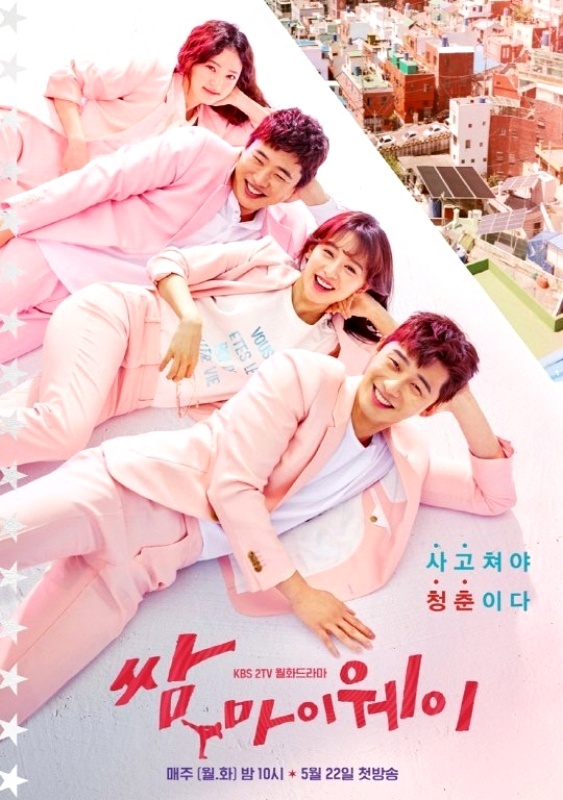 If you are also a fan of stories where one popular girl is chased after by some handsome cool guys and all those love triangles blossoming like flowers, then this drama will definitely catch your attention. Apart from that the drama also gives us a true look into sexism and how often women are being objectified and are compared on the basis of some physical standard. Moreover, men are taught to be strong and act tough, hiding their emotions, as not doing so is considered to be weak. The drama revolves around Kim Young-Ho who is a personal trainer to Hollywood stars. He comes from a rich family but has suffered from devastating injuries in his childhood days. He tries to overcome his problems with patience and believes that living a healthy lifestyle is the only way to survive in this world. Kang Joo-eun, once an ulzzang in her teens is now a thirty-three-year-old lawyer and has become overweight. She has struggled with supporting her family. Shin Joon-young and Noh Eul who were once classmates get separated due to some problems in their relationship during their teenage years. They get to meet each other again in their adulthood. Shin Joon-young is now a very famous singer an actor, whereas Noh Eul is a documentary producer. They reunite when Noh Eul is assigned to film a documentary on Shin Joon-young. The drama has great cinematography with some amazing scenes and wonderful soundtracks. 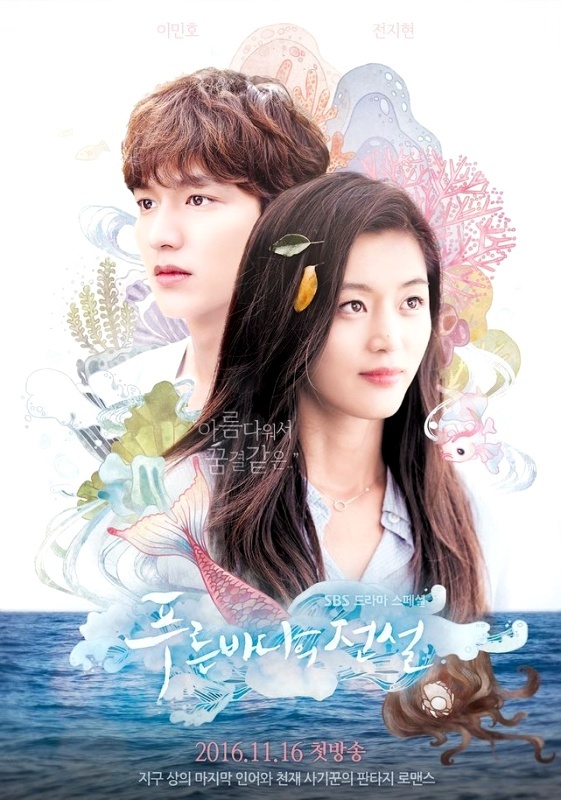 The story revolves around the love story of Heo Joon-jae, who is the son of a rich businessman. Shim Chung is a mermaid who we can see as being transplanted to the modern era. Heo Joon-jae catches her who is also a doppelganger for Kim Moon. Cha Shi Ah, the friend of Joon-jae is the only hope for Shim Chung to survive in this entirely new world for her. It is a beautiful love story with a twist of fantasy and amazing cinematography. The drama is set in the high school filled with privileged and uber-rich people. The story follows a group of rich high school students who are about to take over their families business empires and overcoming various challenges that come their way. Things start getting a wee bit topsy turvy when the students end up getting tangled with a girl from a lower class background and the romance unfolds. The story revolves around Lee young-joon, and his highly qualified secretary, Kim Mi-so. Various misunderstandings start arising when Kim announces to resign her job after working nine years for Lee young-joon. This is a sort of light drama to get relaxed and feel good. The chemistry between Min Young and Park Seo-joon is just spot on along with the great storyline. It will make you scream, laugh and cry at the same time with its hilarious plot. Deokman, who was born a twin and abandoned as a baby, was later brought back to Silla palace where she teams up with her twin sister Princess Chonmyong in order to oppose Mishil who is chasing after power. Mishil makes various sinister plans to exile both of them from the kingdom and through a secretive battle assassinates Princess Chonmyong. But Deokman with the help of General Kim Yusin gets success in fighting against evil plans of Mishil and becomes the first female ruler of the Silla kingdom. The story revolves around a brilliant and triple-board certified surgeon, named Boo Yong-joo. He was once at the top in his field and worked at Seoul’s hospital. But after a harrowing incident, he disappears changing his name to Kim Sa-bu. He begins to work at a small hospital called Doldam in Gangwon Province. He guides and teaches Seo-jeong and Yoon Seo-jeong to become great doctors. It’s a drama with an interesting storyline, which even received the number 1 rating when it was aired. 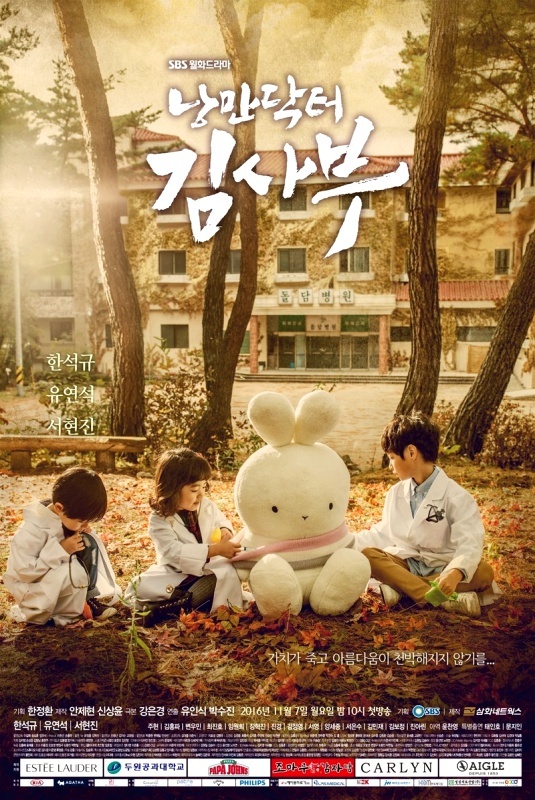 You must watch it if you are fond of medical dramas and apart from that, you will also learn some important lessons about life while watching this drama. 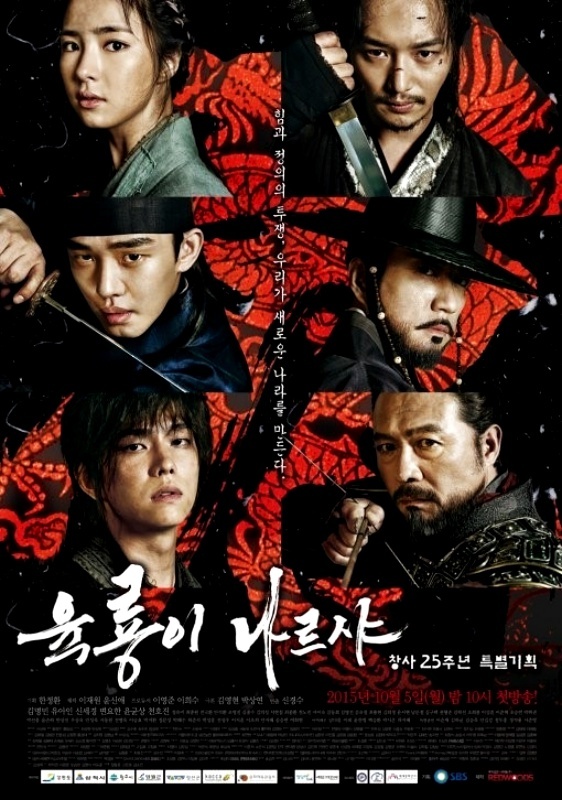 The drama is set during the rule of a famous tyrant King Yeosangun. The story is about Hong Gil Dong, the son of a servant who basically stole from the rich people and gave it to the poor. It’s about his journey to becoming Joseon’s first revolutionary activist. The drama is greatly filled with romance, action, history, wit, and an amazing cast. The classic setting has been impressively displayed with a rich storyline to touch your hearts deep inside. The story revolves around a 30-year-old single man, Gong Woo-jin who is a set designer. He went through a drama thirteen years ago due to which he doesn’t want to get involved in any relationship with other people. Another character of the story, Woo Seo-ri fell into a coma at the age of seventeen. She wakes up at the age of thirty but her mental conditions remain as that of a seventeen-year-old girl. Woo Seo-ri and Gong Woo-jin fells in love with each other. Kim Min-kyu lives a very lonely and isolated life because of a severe allergy to other people. Whenever he makes any skin contact to others rashes starts developing rapidly throughout his body. Jo Ji-ah, another character of the story is a woman trying to create her own business. When she meets Kim, she pretends to be a robot in place of the supposed Aji 3 robot and becomes the closest thing with whom he can contact. 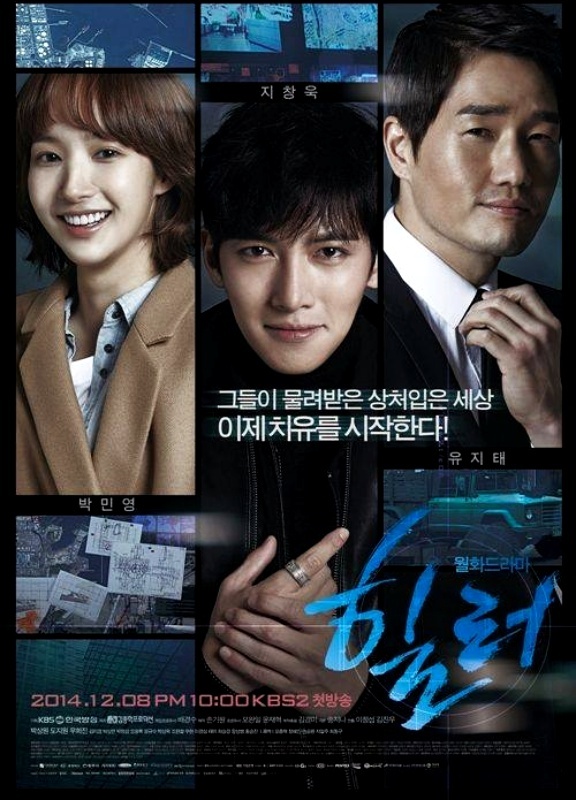 Oh Yeon Joo’s father is found to be missing mysteriously while completing the last chapter of his webtoon “W”.When Yeon Joo goes to his office she is shocked to see the scene of bloodied Kang Cheol on her father’s monitor, who is the main character of W. She was pulled in by a hand from the monitor while reading something left behind by her father. Yeon founds herself on a building rooftop with a man lying down covered with blood. She saves him and found out that he was none other than Kang Cheol. She discovers that she can only enter and leave the webtoon depending on the feelings of Kang Cheol. The story revolves around a family that consists of the father, his wife and their three daughters and three sons. They live on the outskirts of Seoul. One day a celebrity visits their house claiming that he is the son of the family. 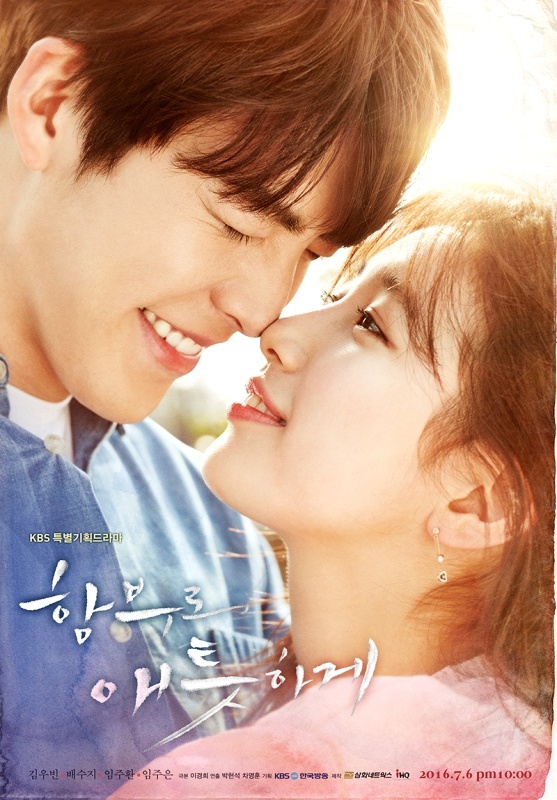 It is one of those Romance Korean Dramas that are heart touching drama with a perfect blend of various emotions having flawed and relatable characters whose development can be seen as the drama progresses. The drama revolves around the 21st century, a 25-year-old woman, Go Ha-jin who is transported back in the time of Goryeo Dynasty during a total solar eclipse. She wakes up in the body of Ha Soo among various royal princess of the ruling Wang family in the year of 941. She fells in love with a very charming and warm-hearted 8th Prince Wang Wook and then later Wang So, the fearsome 4th Prince who hides his face with a mask and is called as “wolf dog”. As the story moves forward Go Ha-jin finds herself caught in the middle of rivalry and politics of fighting for the throne. 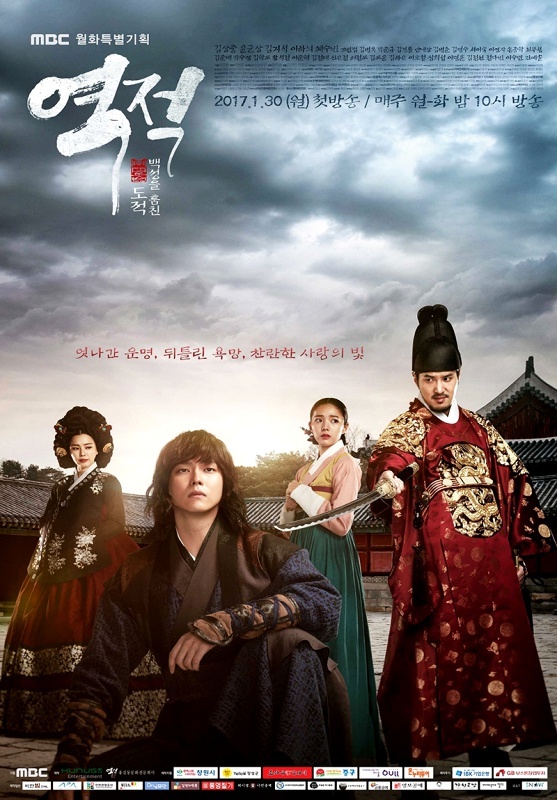 The story is about a Goryeo-born woman, Gi Seungnyang who rises up to power despite various restrictions of the era’s class system and laters marries to Toghon Temur, the Emperor of Mongol Empire, to become an empress of the Yuan dynasty, leaving her first love, Wang Yu which depicts her political ambitions. This is one of my favorite historical Romance Korean Dramas. The show offers you a wide range of emotions with two interesting love lines and love triangles. It is filled with beautiful soundtracks and mesmerizing portrayal of characters by the actors. The story revolves around the love and various struggles of the members of an infamous drug ring. Soo-min has to pick up where Kyung-me left off when her oldest sister Lee Kyung-me is murdered in the criminal underworld Soo-min falls for the organization’s drug Kingpin, who is the doctor’s son and also happen to be the main suspect in her sister murder. The drama is set in the 1990s which follows a female high school student She-Won who is a fan of a boy band H.O.T and idolizes her five high school friends. When she was a teenager she was obsessed with this boy band. She is now 33 years old and reminisces about her school reunion is about to arrive. The drama can be called an emotional roller coaster which can make you laugh, scream and cry at the same time. The character feels very real and familiar. 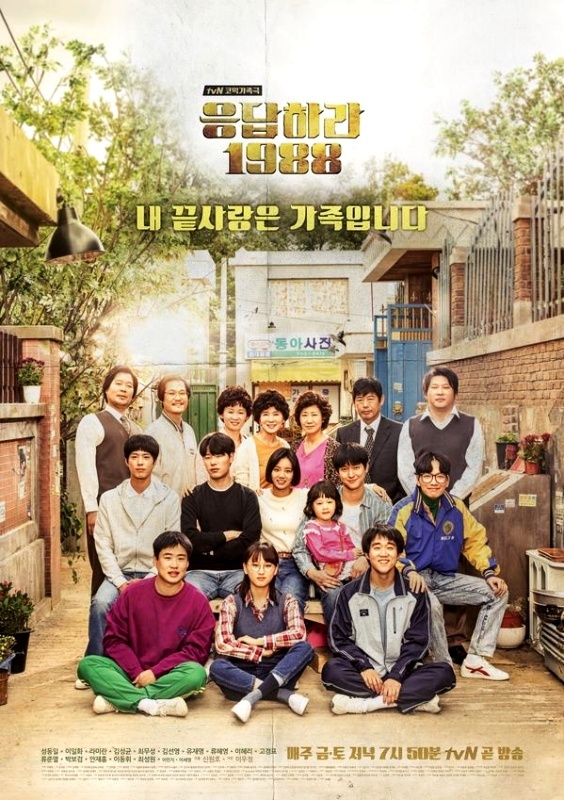 Even if you have no idea about the 90s you are still going to enjoy watching this drama. This is one of those Romance Korean Dramas that’s surely going to touch your heart. The story is set 500 years ago, during the Chosun Dynasty. Korea had a male-dominated structure and a rigid hierarchical system. It is based on the true story of a legendary girl named Jang-Geung who became the first supreme royal physician of her time. She overcame all her social discrimination in the male-dominated society and landed as a royal cook and later the physician in charge of the king. The drama revolves around the story of Jang Hye Sung who becomes a lawyer after suffering from poverty and many painful memories of her childhood. She realizes about justice and society after meeting a 19-year-old boy named Park Soo Ha, who can read people’s thoughts and Cha Kwan Woo, a lawyer who lives a simple and innocent life. Lee Kang To is a cruel and ambitious Korean officer who is employed by the Japanese colonists. In order to bring his family out of poverty, he goes against his mother’s disapproval of his work and his brother’s antagonistic history with the Japanese. A very mysterious figure wearing a traditional Bridal Mask seems to always get in his way. This Bridal Mask appears as a Zorro-figure who basically protects the people from the abuse and oppression of Japanese colonists. The drama revolves around Joo Joong-won, CEO of Kingdom that includes a major department store and hotel. 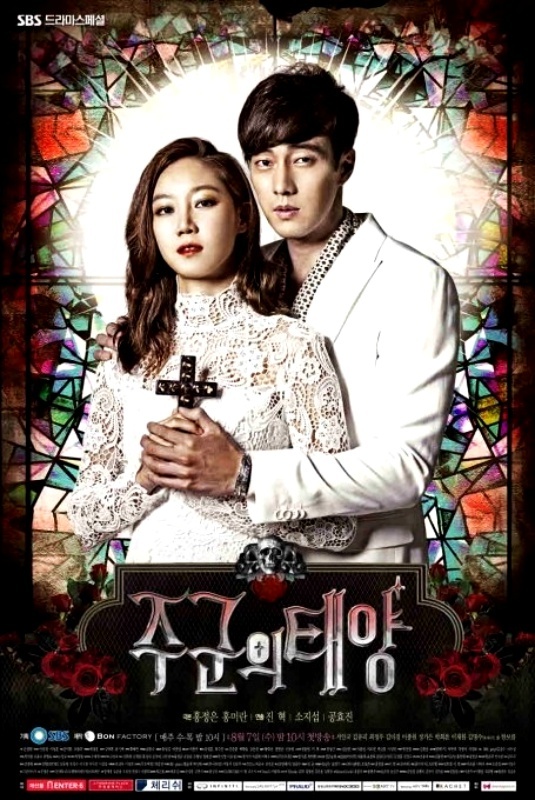 He meets Tae Gong-shil who starts to see ghosts after an accident. She discovers that whenever she touches Joo Joong-won the ghosts around her disappear. In order to stay by Joong-won side, she has to help him in recovering a fortune that was stolen from him during a kidnapping attempt. Kang Dong-Goo wants to become a movie director but is kind of cynical because of his bad luck. Cheon Joon-Ki tried to follow his father’s footsteps but is now just a minor actor. Bong-Doo-Sik who came to Seoul for becoming a scenario writer has to face a lot of challenges and things have not been easy for him. Three of them runs a guest house Waikiki in Itaewon, South Korea. They are facing bankruptcy while a mysterious baby and a single mother appear in the guest house. 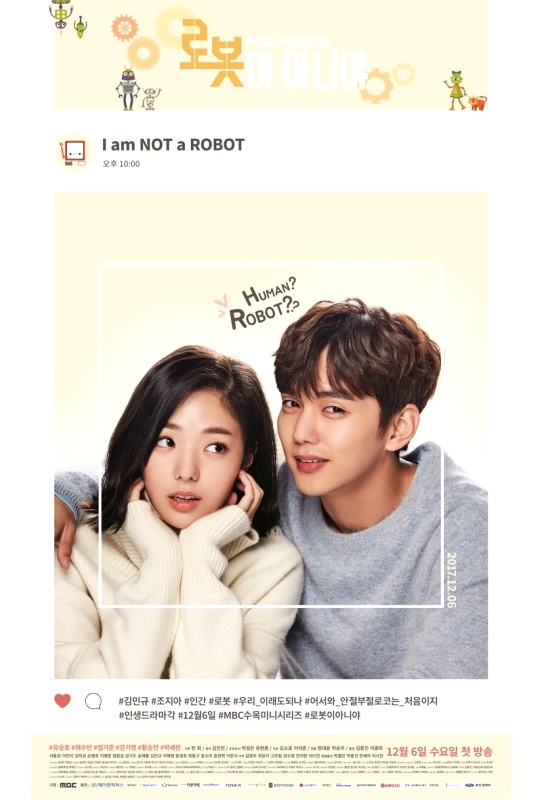 The story is about Do Min Joon who missed his chance to go back to his home planet while protecting a girl he met. He first arrived on earth in 1609. Joon is still living in Korea, four centuries later and working as a professor. He lives a very isolated life knowing that he doesn’t belong to this world. His life takes a turn when a top actress, named Chun Song Yi moves in next door. The two starts getting closer when her career takes a stumble and fell in love with each other. The drama is about Choi Ban-do and Ma Jin-joo who are a 38-year-old married couple with a little son. Both of them struggles through their daily lives and find themselves exhausted. Ban-do works as a pharmaceutical salesman whose whole day goes by begging people to buy his medicines. Jin-joo is a housewife who struggles to find meaning in his life and feels ignored and isolated. One day they wake up and find themselves as 20-year-old university students. They have no idea why they are here and for how long this is going to last. So they decide to enjoy and their life and make different choices which are going to have an impact on their family and friends. The drama tells the story of Do Bong Soon, a woman born with Herculean strength and anything she touches with applying too much force it crumbles in her hands. Another character of the story is Ahn Min Hyuk who is an extraordinary second-generation chaebol. Do Bong has a crush on Ahn Min, meanwhile In Gook Doo is the guy who likes the heroine. 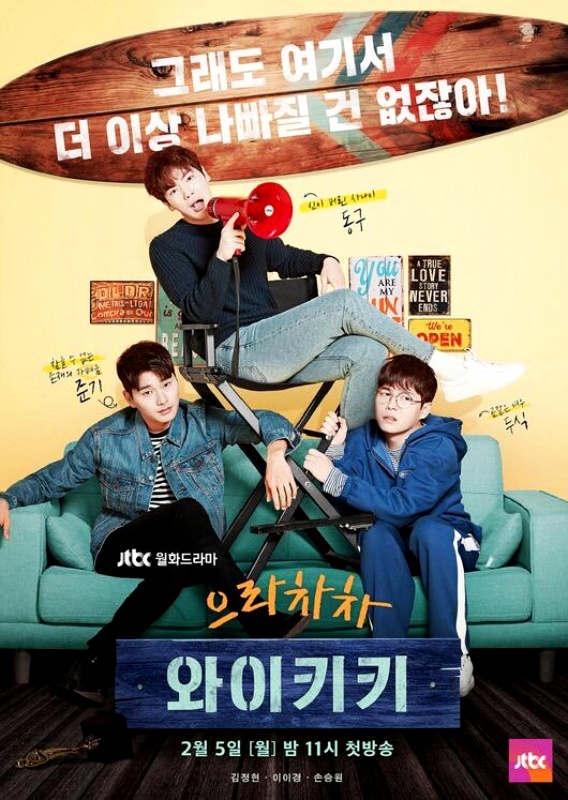 The story is about Nam Se-hee and homeless Yoon Ji-ho who are in their thirties, unmarried and starts living together as housemates. Nam Se has decided never to get married and on the other hand, Yoon Ji envies those who have a home. 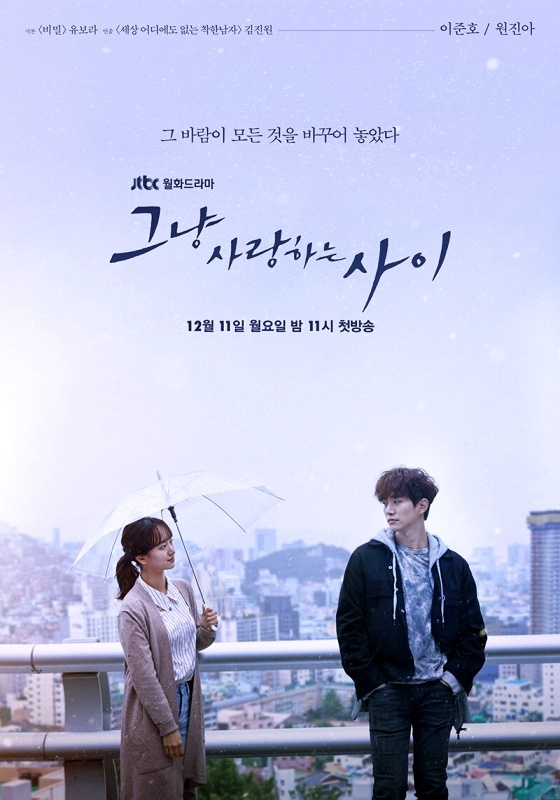 “Because this is my first life” is one of the best light Romance Korean Dramas that you are surely going to enjoy watching. The story is filled with realistic scenes and it is delivered to that point without being overdone. All emotions of pain, sorrow, happiness, and worries are beautifully expressed. The drama is about the story of five girls who are in their twenties and have come together to live in a house called “Belle Epoque”, which means ” a beautiful time in French”. Each girl is different in nature, are from different backgrounds and have different personalities. According to the girls, there is the presence of a ghost in their house. The story revolves around various struggles and drama in their day to day to life. The story revolves around two people who lost their loved ones in a tragic accident and are trying to get through life and move forward with so much pain inside them. This show has beautifully showcased how traumatic events can affect the life of people in different ways. The story is quite emotional and can make you laugh and fill your eyes with tears at the same time. This is one of the Romance Korean Dramas that’s surely going to melt your heart. The story is about a soldier from a Special force team who falls in love with a doctor. They had a lot of misunderstandings when they met first but sooner begins to date one another. But, their professions keep them apart and things don’t go that well. Hong-Joo lives with her mother and helps her in running a pork restaurant. She is haunted by getting visions of future deaths in her dreams. Hong- Joo even dreams about the death of her own mother one night. Another character of the story, Jee-Chan is a prosecutor who moves in with his younger brother to a new house. One night he dreams that Yoo- Beom is driving Hong-Joo’s car which leads to a series of events including the death of Hong Joo’s mother and after that Hong-Joo herself. Jee- Chan senses that his dream might turn into reality so he takes extreme actions to stop this from happening. Later, both Hong-Joo and Jee-Chan handles various cases together. The series depicts the story of Han Se Joo who was a writer in his past life during the time of 1930s Japanese occupation of Korea. He has been reincarnated into the best-selling writer in his present life. He feels depressed and has writer’s blocks that are preventing him from completing the next work he has undertaken. 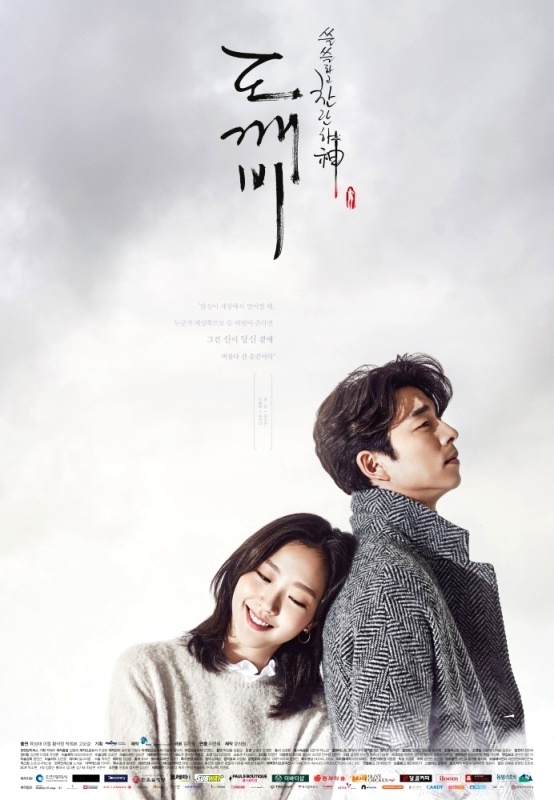 Yoo Jin Oh, a ghostwriter, and a mysterious man can bail Se Joo out of his situation but has certain conditions that Han Se Joo might not be able to meet. Jeon Seol, a veterinarian and a book lover runs her own delivery service and becomes an anti-fan of Se Joo and thinks that he is overrated. The drama is about the foundation of the Joseon Dynasty in Korea. It mainly focuses on young prince Lee Bang Won and revolves around the success, ambitions, and conflicts between various fictional and real people. You’ll get to see great cinematography with some amazing locations, whether it may be a pub, war field, snowy mountains or forests. The drama has made sure to capture all these wonderful sites. The story is narrated beautifully which aligns very well with the cinematography and costume designed portrayed. The story depicts the life of Cha Do Hyun who is a third generation business heir. He has developed dissociative identity disorder after going through many traumatic life-threatening events. He takes help from a beautiful first-year psychiatric resident to get out of his situation. The story centers on a young boy who is born in a slave family but escapes to the United States after the traumatic event during the Shinmiyangyo. Later he comes back to Joseon as a United States Marine Corps officer. He fells in love with an aristocrat’s daughter. He also discovers a plot to colonize Korea by foreign forces. It is one of the best Romance Korean Dramas to watch. The show has a perfect blend of amazing plot, beautiful music, acting and cinematography. The drama is not going to fail to enchant its audience with exquisite scenery, lush rolling landscapes and billowing sails of the war boats. 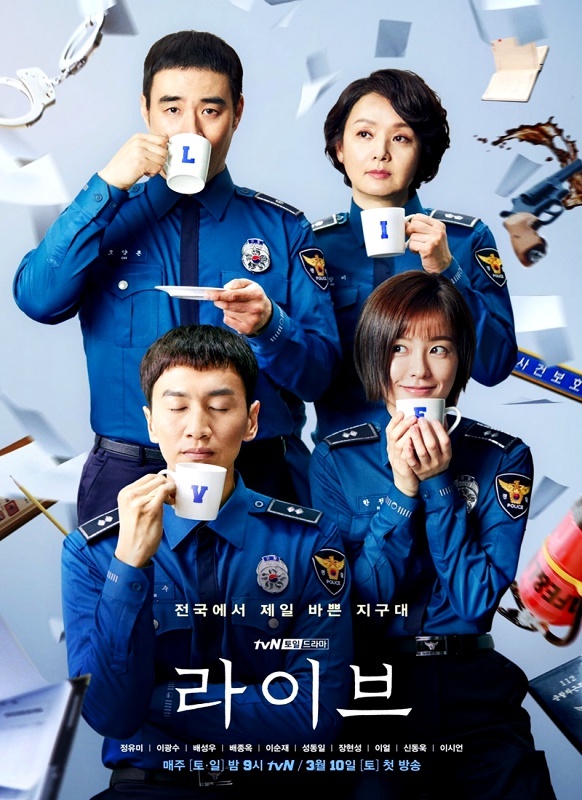 The series depicts the story of police officers ranking from lowest field cadets, patrol officers to the superiors including captains and corporals who form a “Live” team at the Hongil patrol division. Each one of them has a different story and has to work really hard in one of the most stressful, busiest jobs in the world to earn a living. 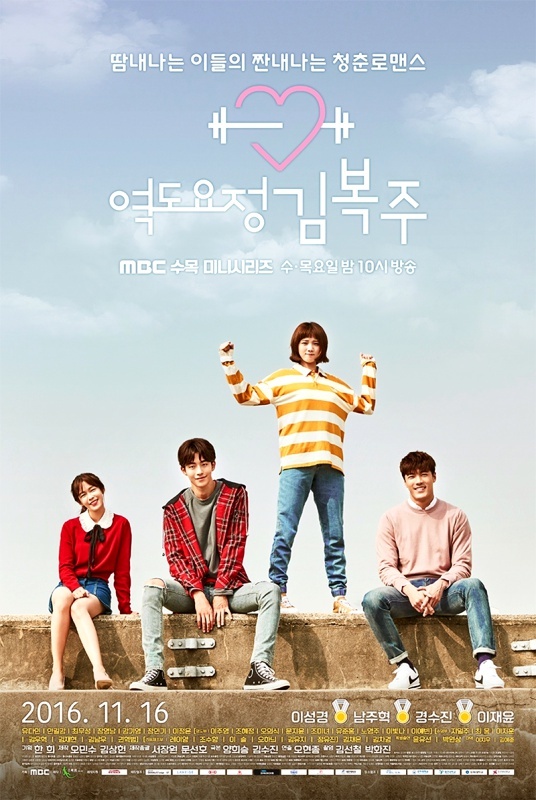 The story is about love and dreams of three young athletes which includes, weightlifter Kim Book Joo, swimmer Jung Joon Hyung, rhythmic-gymnast Song Shi Ho, and Joon Hyung’s older brother, Jung Je Yi, a nutritionist. It’s about a group of college athletes who are fighting and struggling for their dreams, about finding love and learning and growing in every step of the way. This is one of my favorite Romance Korean Dramas. There are so many things that make this drama a must-see. The show has beautifully expressed various stereotypes of society regarding female weightlifters. It deals with the struggles of a girl between romance and the sport she loves. The wonderful cast has made the show so great with their youthful energy and hilarity. It depicts the story of five childhood friends who lives on the same alley road. They help each other in day to day struggles of life, setting a path for their futures. Sung Deok SUn belongs to a poor family carrying a burden of 989th ranking in his school. Kim Jung Hwan only has one thing in his mind and that’s soccer, even after his family became rich overnight. Sung Sum Woo can be titled as the perfect student, who is president of the student council, caring and dependable son of the family. Ryu Dong Ryong is a kind of geek who chases after girls and poor in academics due to which prevents him to go to a college. Choi Taek is an excellent baduk player who dropped out of college to become professional. Kim Shin is a goblin and landlord of the grim reaper, who is in charge of taking deceased souls. He looks for a female bride which is the only way to end his immortal life. Another character of the story, Ji Eun-tak is a high school student who is a very positive person and remains optimistic despite the various hardships she has gone through in her life. She summons Kim Shin by chance and somehow ends up falling in love with him. The story has successfully expressed various aspects of life and its fragility in a very wonderful way without making it sound very depressing or dull. Along with that, the drama has some great picturesque scenes that you are definitely going to enjoy watching. The story depicts the story of a decades year old incident which involves a group of five friends who ran an illegal broadcasting station during the Fifth Republic in South Korea. Kim Moon-Ho is a famous reporter at a popular broadcasting station. He comes to know about the truth of a case that has happened in the past and approaches to the people who were related to this case. He goes through great fuss while searching for the truth and a second-rate tabloid writer, Chae Young Shin joins him in the search. Seo Jung Hoo is a night courier professional known only as “Healer”. When he tries to unravel the mystery of a shared past with the two reporters, Chae Young Shin becomes a target. This action-packed series is the best of the best among romantic Korean dramas and is a must watch. With this, we have come to the end of the list of 50 best romance Korean dramas. Hope you have liked the extensive collection. You now have a bunch of romantic Korean dramas to possibly binge watch one at a time. Do check out the 50+ upcoming 2019 Korean Drama list and 25+ Best Reverse Harem Anime that will sweep you off your feet. Previous Post« Previous Netflix Anime 2020 And Why We Are Excited About It!